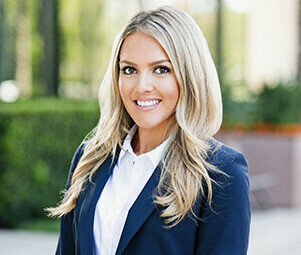 Breanna Rusk is an investment sales professional specializing in the disposition and acquisition of single-tenant net-leased properties nationwide. With a specific emphasis on drug store investments, Breanna has developed undeniable credibility while working with some of the industry’s largest private clients, developers, private equity funds, and REITs. As an integral client advisor, Breanna has developed a vast repertoire of knowledge and skills that she applies every day to improve her client’s investment positions. Her success can be attributed to a deep-seated understanding of the drug store industry, implacable drive, and professionalism with the principle members of the industry. Breanna and the drug store tenant vertical team perform more drug store transactions year-over-year than any other commercial retail brokerage team nationwide. Prior to joining Matthews™, Breanna held positions with Lee & Associates, JLL, and most recently Caydon Property Group. Throughout her time at Caydon Property Group, Breanna worked with a leading multi-family developer to sell new apartment projects in Melbourne, Australia. She successfully worked on many major project plans including numerous multi-family precincts in Melbourne’s most exciting inner city suburbs. For several years, Breanna was a member of NAIOP, a commercial real estate development association, which allowed her to connect with some of the industry’s most active developers. Previous to investment sales, Breanna was a USA Gymnastics Professional which has translated to fierce competitiveness and forensic attention to detail in the real estate industry.